Risk-taking is the lifeblood of cinema. Without enterprising directors who balk at conventional limits, movies might be stuck in the merry-go-round of lucrative but staid blockbusters. Of course, there is such a thing as too far. Some avid risk-takers, most notably “The Revenant’s” Alejandro González Iñárritu (see below), have faced criticism for placing the cast and crew in tenuous conditions in the service of their vision. But whether you view their actions as foolhardy or valiant, risk-taking directors are the very reason cinema continues to reinvent itself. And for that, we at Indiewire are grateful. 1. Shooting in sign language — without subtitles. On paper, it’s an impossible pitch. Miroslav Slaboshpitsky’s “The Tribe” is set in a bleak Ukranian boarding school for the deaf. It’s told in sign language, without voiceover or subtitles. Were it not for strong performances enhanced by nuanced body language, the silent film might be an unbearable watch, but as the circumstances unfold and the stakes begin to rise, the characters each take on complex dimensions. Their interactions are riveting; you’re tasked with inferring meaning and substance from events you cannot understand, save for their overarching emotional currents, ranging from desperation to horror to passionate love. It’s a challenging exercise in semiology that pushes the cinematic medium to its utter limits. 2. Shooting a 140-minute single long-take. If a life-altering bad decision is the product of many smaller ones, “Victoria” is the riveting journey through that chain of events. Sebastian Schipper shot this adrenaline-fueled experience of a night in Berlin that culminates in a bank robbery in one single 140-minute take. To get investors on board, he promised to deliver a plan B comprised of jump-cut takes, but after three 4:30 a.m. to 7 a.m. one-take shoots, Schipper knew he had the movie. 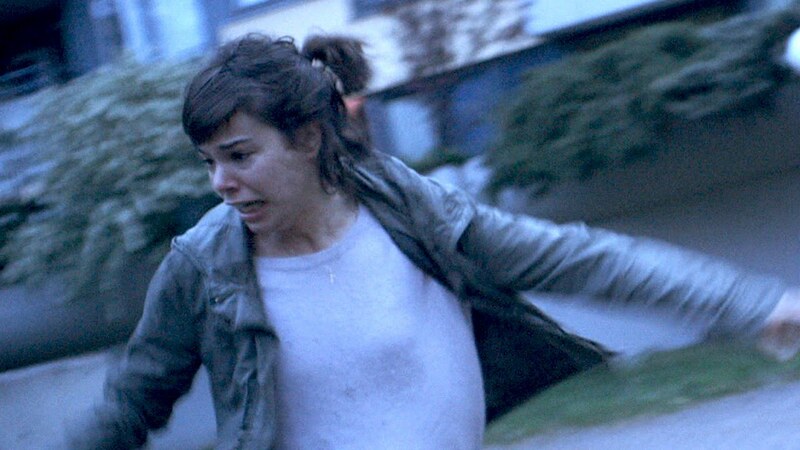 The strong naturalistic performances, particularly from leads Laia Costa and Federick Lau, are even more impressive considering they were working off a twelve-page script; while improvising, they had to remain cognizant of the camera’s movements across 22 locations, all the while aware that one lapse in judgment could cost the production an entire night’s work. However formidable the technical prowess, it disappears from the conscious experience of watching “Victoria” almost immediately. What remains is what can only be described as the uncanny experience of a bad trip that reveals itself as reality in the light of day. As the decisions fold into each other in real-time, a sense of disturbing fatalism emerges. It’s the kind feeling that could only have risen from an immersive, nightmarish 140-minute long-take. 3. Shooting on an iPhone 5s. 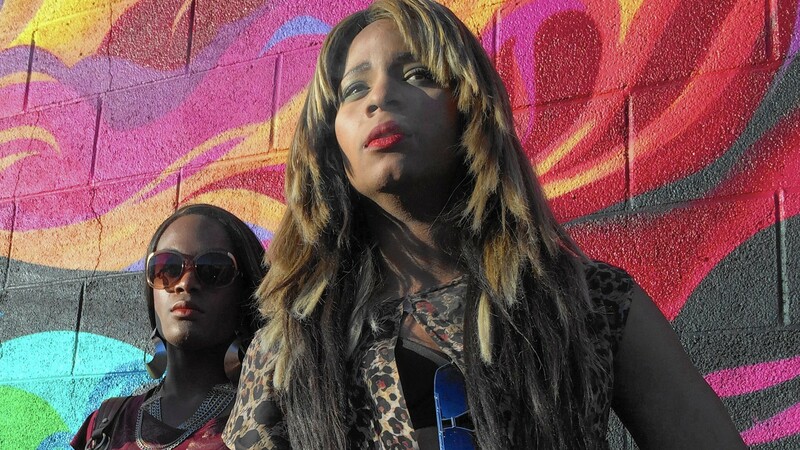 The fact that Sean Baker’s “Tangerine” was shot on an iPhone is common knowledge — in fact, you may only know “Tangerine” as “that iPhone movie” — but the director’s enterprising efforts have yet to be matched. Before this movie, directors who filmed on iPhones were considered handicapped by technical limitations; Baker single-handedly turned our third hand into a cinematic tool. His rig consisted of an $8 app called Filmic Pro which provided control over focus, aperture and color temperature, a Steadicam and a Moondog Labs anamorphic adapter, which allowed Baker to change the aspect ratio. The small and unencumbered rig afforded the team a unique kind of dexterity which they used to full effect, filming scenes while riding in circles on a bicycle and employing some guerilla-style shooting tactics. Whether others will successfully follow suit remains to be seen, but one thing’s for certain: risk-takers like Baker are our only hope of surviving and adapting to the challenges of a cinematic landscape in flux. 4. Shooting entirely in close-up. 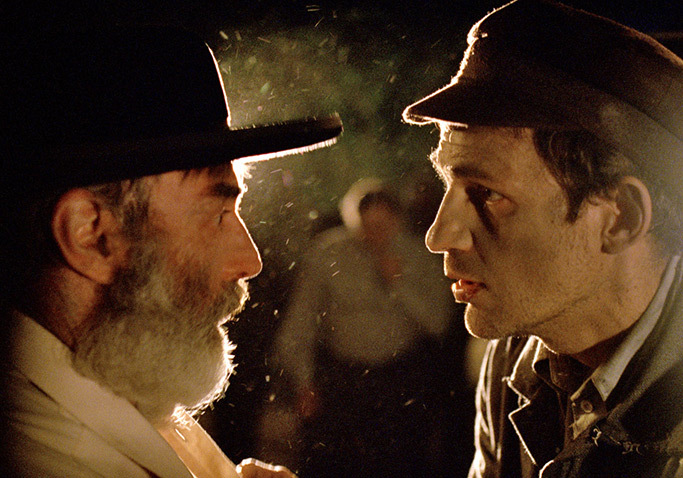 To watch “Son of Saul” is to spend nearly two hours in hell. As such, it’s unlike any Holocaust film in existence. Absent are the melancholic sweeping wide shots of “The Pianist” or the more bearable omniscient narrative of “Schindler’s List.” Instead, László Nemes has created the singular claustrophobic experience of life in Auschwitz by shooting entirely in close-up. Like the prisoners’ experience, many sequences in the film are devoid of apparent meaning. Like the prisoners’ experience, there is no moment of reprieve. Like the prisoners’ experience, “Son of Saul” is an unflinching series of rote chores punctuated by chaotic and indiscriminate acts of violence and murder. Like the prisoners’ experience, the will to survive is the film’s ammunition. The absence of wide shots is disorienting, especially during scenes such as inside the gas chambers and fire pits full of burning bodies, where being able to see the surroundings would provide some relief from the myopic perspective. But Nemes refuses to deliver, instead building out the sound design to fill in the horrific scenes. With “Son of Saul,” Nemes has created an unparalleled testament to the experience of Auschwitz that should be required viewing for every human being. 5. Unleashing 250 stray dogs onto the streets of Budapest. “Take risks. Try to find not chosen ways…If you just make a product, then it’s senseless. You need soul and you need risk. 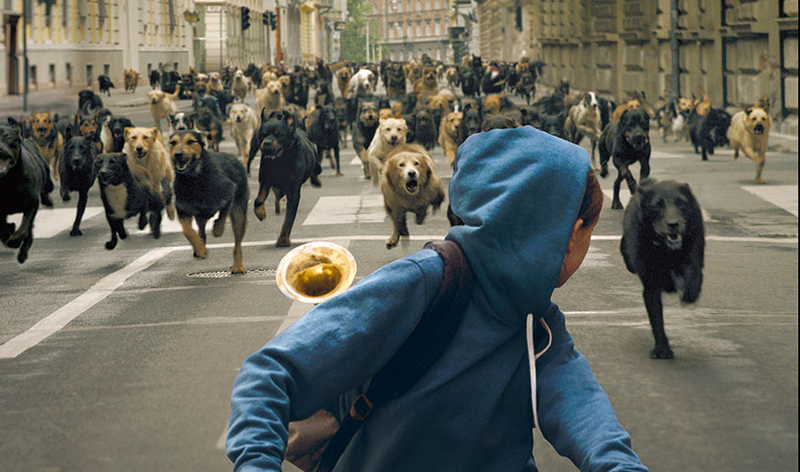 You need to find your way.” That’s what “White God” director Kornél Mundruczó told Indiewire earlier this year when we spoke to him about his bold decision to unleash 250 stray and rescue dogs onto Budapest — without the help of CGI. When Mundruczó set out to make the film, everyone thought the breathtaking sequence of hundreds of dogs running through the streets would be impossible to accomplish without the help of a computer, but Mundruczó is as dogged as they come. He enlisted one of the most accomplished dog trainers in the world, Teresa Miller, to spend half a year training his two lead dogs to act. He insisted on orchestrating the incredible street sequence, which plays like a childhood fever dream. Mundruczó’s commitment to verisimilitude augments the film’s allegorical structure: The dogs represent a disenfranchised population in conflict with an authoritarian society. 6. 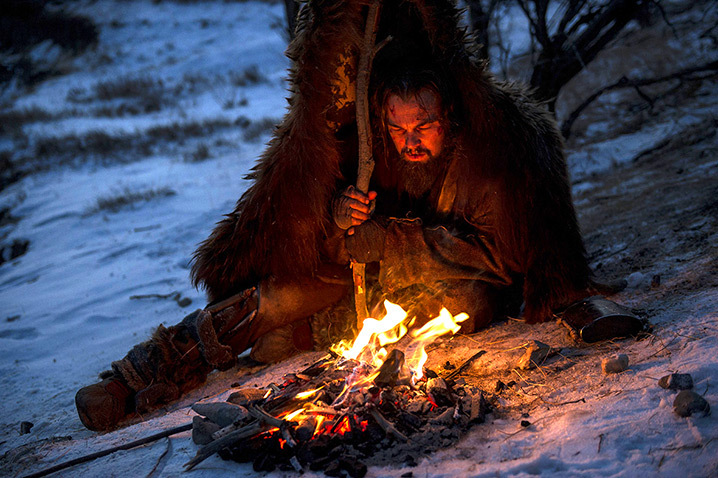 Shooting a wilderness epic using only natural light. Alejandro González Iñárritu may be known for pushing boundaries, but “The Revenant” marks his most intrepid venture yet. The cast and crew endured what can only be described as an insane production at the behest of its visionary director, who maintained that the entire film, shot in the most remote locations of British Columbia, be filmed using only natural light. Because of the brutal conditions and inaccessible nature of the locations, the crew had to stay more than an hour’s drive from the set. Compound that with the lean days of the Canadian winter and you’re left with an hour and a half of viable shooting time per day. In these brief periods, the team performed feats of incredible resilience and precision. They pulled off long-take battle scenes with hundreds of extras, crossed ice-cold rivers, braved ferocious snowstorms, and adapted to dozens of obstacles, any one of which threatened to nullify their efforts. Thankfully, Iñárritu’s quest was not in vain. Each frame of Emmanuel Lubezski’s stunning cinematography is a wonder, and each minute of the film feels like a veritable struggle to survive in the face of awe-inspiring mother earth. 7. Filming while banned and arrested in Iran. Jafar Panahi’s entire filmography is one giant act of dissent. In 2010, the director (along with his wife, daughter and fifteen friends) was arrested and charged with propaganda against the Iranian government owing to the content of his movies. But despite being sentenced to a 6-year jail sentence on top of a 20-year ban on making movies, doing interviews and leaving the country, Panahi’s creative spirit cannot be tamed. 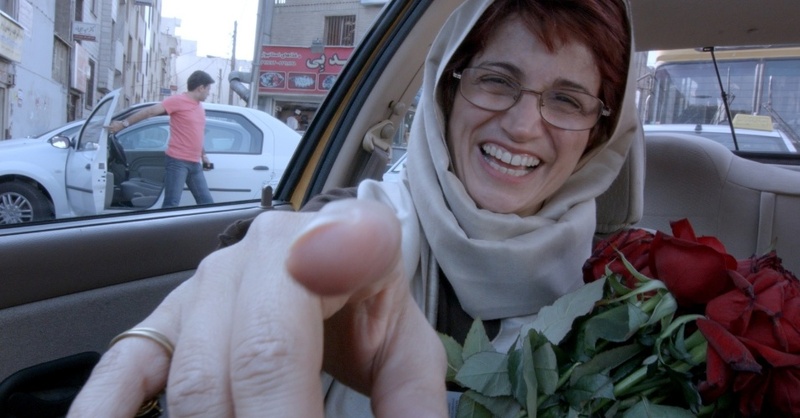 To the regime’s chagrin, Panahi has made three films in his current situation: “This is Not a Film,” which was smuggled out of the country in a cake; “Closed Curtain,” an ingenious work of docu-fiction; and now “Jafar Panahi’s Taxi,” which sees Panahi drive a cab through the streets of Tehran, encountering a menagerie of passengers. Shot from a camera fixed to the dashboard, “Taxi” displays Panahi’s characteristic labyrinthine sensibility; the film, narrative cloaked in documentary, traverses disparate storylines but converges upon central themes. Panahi brings levity to the subject of censorship. He reveals the absurdity of the regime, with its hypocritically rigid religious standards that have forced Iranians to live in a world that defies common sense. As each idiosyncratic character brings a different quandary to light, a picture of a troubled but hopeful society emerges — one whose resilient citizens, like Panahi, find creative ways to seek their inner truth.